Directed and written by Paul Feig. Produced by Paul Feig, Jessie Henderson, Peter Chernin, and Jenno Topping. Release date: June 5, 2015. Prior to Spy, Melissa McCarthy might have been the most popular actor working to never play the leading role of a good movie. 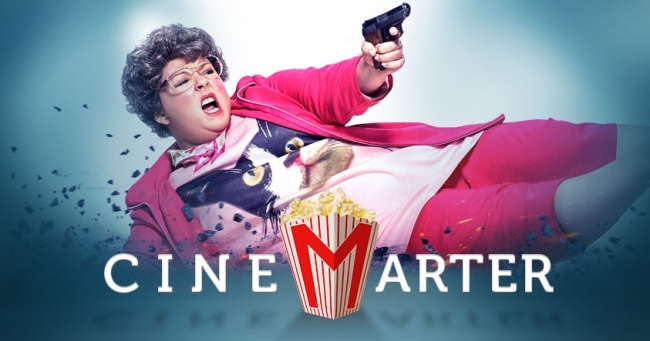 She was fine in supporting roles like St. Vincent or Bridesmaids, but as soon as she was given the reigns, we got awful, awful movies like Identity Thief or Tammy. Now, though, she can finally claim to have been the lead of a good movie, even though she's still not the best or funniest part of it. In fact, in Spy, she's outshone by almost everyone else ... despite McCarthy also being really funny. Spy has such a wealth of talent that both of these things can be true. The story of Spy, much like the title, is incredibly simple. Susan Cooper (McCarthy) is the desk-bound handler for CIA agent Bradley Fine (Jude Law), and they work well together. But after Fine is found and killed by Rayna Boyanov (Rose Byrne), the daughter of someone with access to nuclear bombs, she's sent into the field. The idea, we're told, is that Boyanov knows the identity of all the major agents, so they need to use someone nobody would know. Cooper is tasked solely with providing surveillance, but soon finds herself way out of her comfort zone as she infiltrates Boyanov's inner circles - more often than not advancing unwittingly. So, it's a movie about a fish-out-of-water spy tracing the steps of a typical James Bond movie, but with most of the scenes featuring heavily improvised and profane dialogue in which funny people insult each other until they run out of material. Substituting your typical agent for McCarthy's Cooper provides enough laughs on its own - there's a lot of physical and situational comedy on display, too - but adding that onto the dialogue exchanges between the characters just increases how frequently Spy will make you laugh. I laughed a lot at Spy. The highlights came from two expected places and one that's so unexpected that I'm still not sure it happened. The predictable laughs were from McCarthy and Byrne, especially when the two of them got to go at one another. Their exchanges are some of the highlights of the movie. The more unexpected laughter came from Jason Statham, here asked to do a self-parody turn that's so completely over the top and insane that you'll come away from Spy hoping to see an entire movie based on his character. Statham hasn't really gotten to showcase many comedic chops in his career, but after Spy I'm sure he'll be getting tons of offers to do just that.